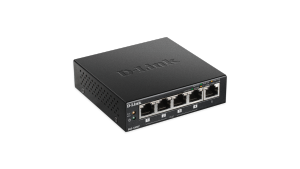 Expand your wired network with a D-Link Gigabit Ethernet 10/100/1000 switch. 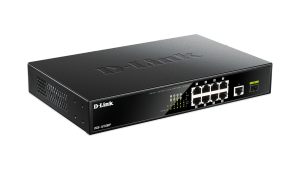 Gigabit Unmanaged switches come in Desktop and Rackmount form factors, and both PoE and non-PoE versions are available. 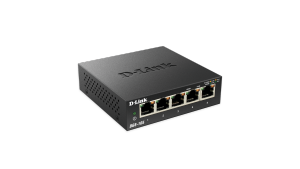 The DGS-105 is a 5-Port Gigabit Switch that provides a quick, easy and economical way to add high speed networking to home offices, small and medium businesses. It has a compact design with metal case that is ideal for wiring closets, conference rooms or small offices. Use it on a flat surface or use the included wall mount kit. 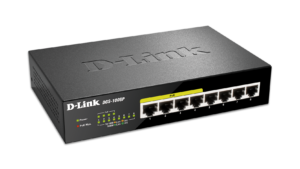 The DGS-108 is an 8 Port Gigabit Ethernet switch that provides a cost-effective way for SOHO and SMB to create a small network and connect computers, wireless Access Points, IP cameras, network printers and other Ethernet devices quickly and easily without complicated configurations. 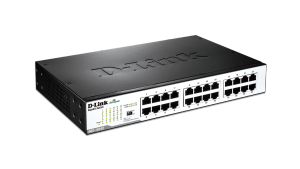 This switch comes with 8 Gigabit Ethernet ports with an auto-sensing function to detect the maximum speed of the connected devices, allowing you to run your network with the best possible performance. 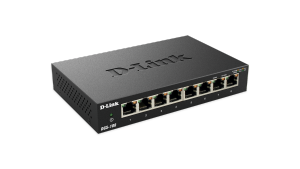 The DGS-1008P is an 8 port Gigabit Desktop switch with 4 PoE ports. It provides a cost-effective way for SOHO and SMB to benefit from the Power over Ethernet technology by allowing users to power up devices such as wireless Access Points, network cameras or IP phones directly from the network cables. Its fanless design makes it completely silent so it is ideal for offices, libraries or meeting rooms. The DGS-1016D is a 16-Port Gigabit Switch that delivers power, performance, and reliability in one cost-effective, space-saving design. Increase the speed of your network server and backbone connections, or make Gigabit to the desktop a reality. The versatile and compact 1RU height design of the DGS-1016D enables the device to be rackmounted in a standard 19-inch rack while conserving valuable rack space. 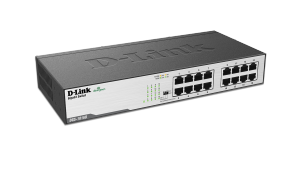 The DGS-1024D is a 24-Port Gigabit Switch that delivers power, performance, and reliability in one cost-effective, space-saving design. Increase the speed of your network server and backbone connections, or make Gigabit to the desktop a reality. The versatile and compact 1RU height design of the DGS-1024D enables the device to be rackmounted in a standard 19-inch rack while conserving valuable rack space.